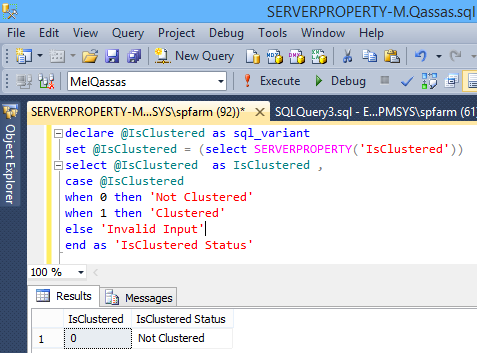 Check if the failover cluster is configured or not using SERVERPROPERTY In SQL Server. In this blog, we will see how to check if the failover cluster is configured or not, using "SERVERPROPERTY". Use ISCLUSTERED property to check if the failover cluster is configured or not. Check if the failover cluster is configured or not, using PowerShell?